Dust build-up in our homes is kind of just a fact of life. Dust is everywhere and it’s constant. Controlling dust can seem like an impossible task and it seems like everyone kind of thinks they have it the worst too, doesn’t it? I always hear people say “Oh, well my dust is really bad because I live in the city.” while at the same time someone else is saying “Ugh, the dust out here in the country is just non-stop!” The truth is that we all have dust and it’s pretty bad for everyone, but luckily there are a few things that you can do that will make the dust problem in your home less annoying and a little more manageable-feeling. I’m not saying that the dust will go away, but at least you can enjoy the feeling of a shiny clean, dust-free home a little more regularly. There’s no way around it. 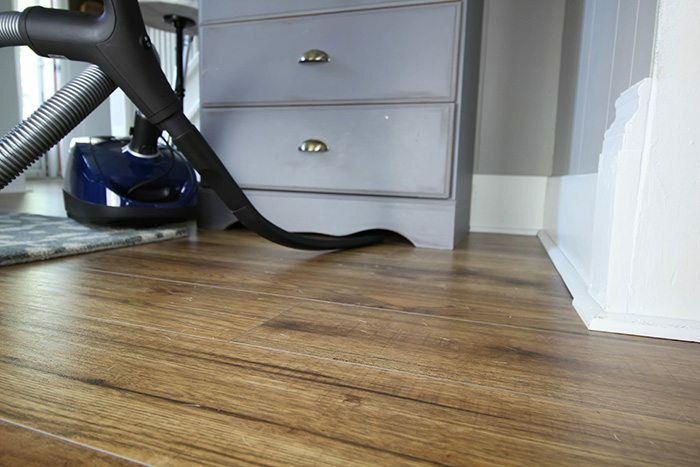 Vacuuming your home is the quickest, most effective way to remove dust in a big way because you’re trapping so much of it so quickly and storing it away before getting rid of it. I got the chance to try out this new Miele C2 Electro+ Plus Canister Vacuum Cleaner and it’s a great one for dust in particular because it’s so high-powered and comes with a built-in HEPA filter and a completely sealed system, so dust doesn’t have the chance to escape once it’s trapped. 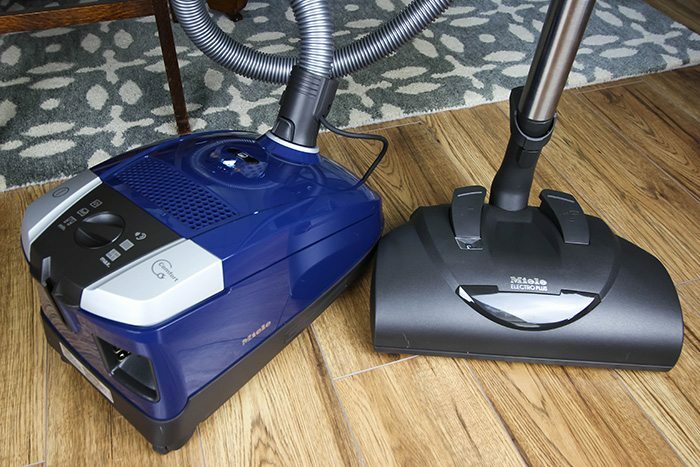 If you’re really trying to tackle your dust in a big way, one of these plug-in canister vacuums will be your best friend. 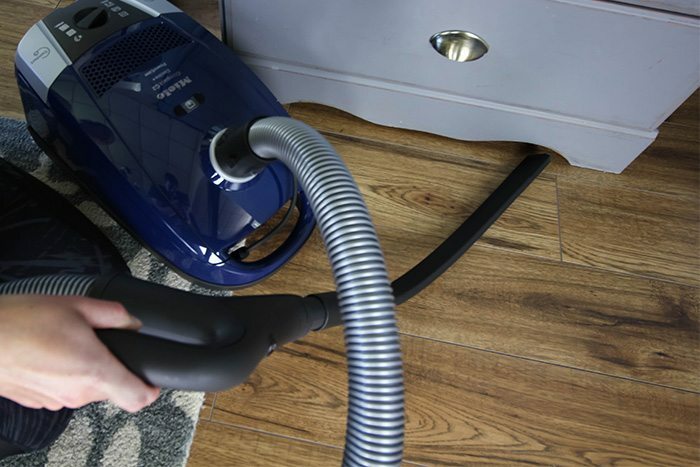 We also have a rechargeable vacuum that we love, but there’s no denying the power of a plug-in model with a canister to tackle some of your really tough cleaning. When it comes to controlling dust in your home, of course the actual act of dusting is probably the first thing that comes to mind. I know that dusting is almost always seen as kind of a dreaded chore, but I’ve always found it really rewarding. 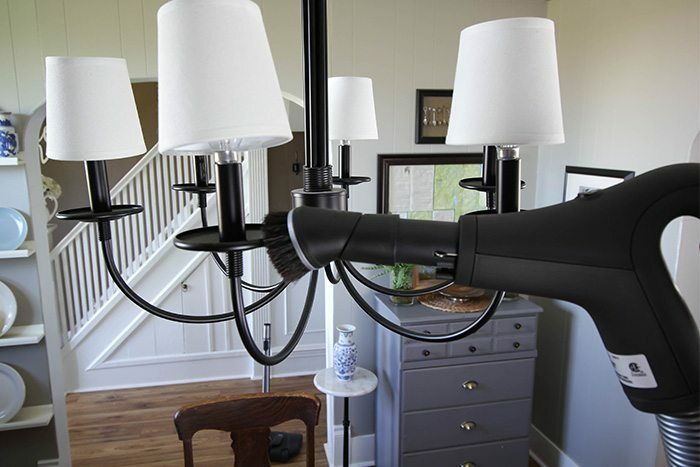 With the right tools, it’s probably the job that makes your home feel the cleanest with the littlest effort, actually. I’ve always loved a good traditional feather duster for getting into all kinds of nooks and crannies, but I’ve also become a big fan of microfiber cloths, and especially these eCloths over the last little while. If you’ve read my book The Cleaning Ninja or if you’ve been following my blog for any length of time, then you probably know that I’m not the biggest fan of using a lot of chemical cleaners all over the place and I also really love having the exact right tool for a job, and that’s pretty much what eCloth is all about! 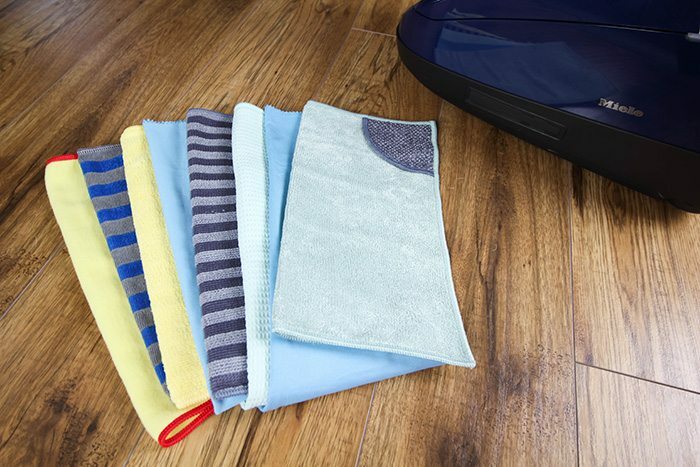 They have a cloth designed specifically for dusting that has a natural positive charge so it attracts dust and allergens from any hard surface. They also have cloths designed specifically for things like stainless steel and glass that work with just a little water. If you have the right tools at hand then when you dust you’ll actually get to see the results of your hard work, and that will definitely help you make it a long term habit! I’m a big fan of using different vacuum attachments for different jobs, and for using your vacuum in some creative/unconventional ways to help tackle the dust. 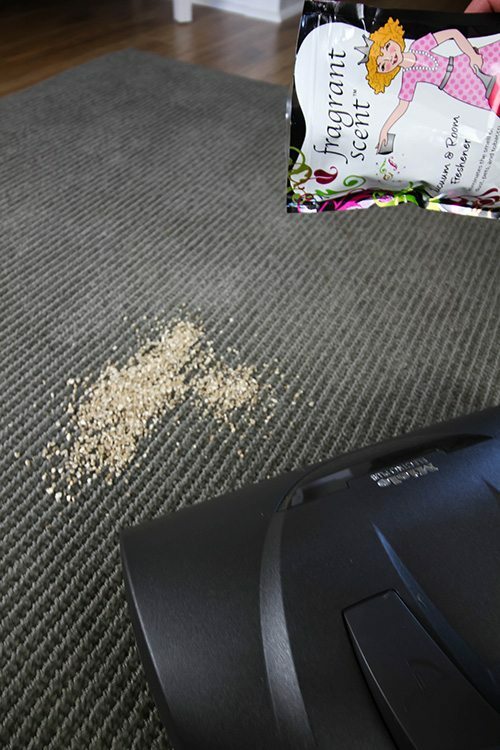 This new Miele C2 Electro+ Plus Canister Vacuum comes with a really great attachment for carpeted floors and that’s a great place to start in your dust-tackling mission, but there’s no reason that you have to only use your vacuum on your floors! I really love this flexible crevice tool which is a flexible plastic detail cleaning attachment for my vacuum. It allows me to clean all kinds of places like in between furniture and walls and under appliances really easily. 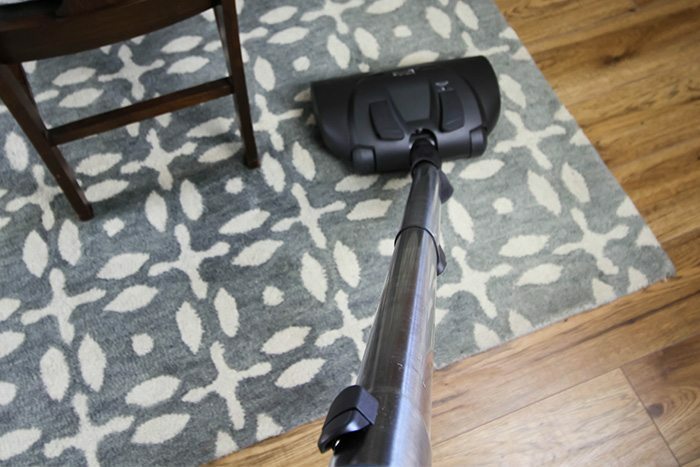 Your vacuum’s attachments are so useful for freshening up upholstery and removing dust build-up from shelves, light fixtures, appliances, and all kinds of different places! Don’t be afraid to get creative with where you use your cleaning tools. When it comes to battling dust, it’s all fair game! Since the best way to keep the dust down in your home is to keep up with your dusting activities, the smart thing to do is to find a way to make it an enjoyable part of your day. When it comes down to it, dusting and vacuuming are two really low-stress and easy chores, so it’s not too far-fetched to think that you might be able to find a way to actually make them fun. Sometimes it just a matter of finding the right time of day where you can really take a moment to enjoy how nice your home looks after you’ve kept the dust at bay, or sometimes it can be as simple as ordering yourself some new dusting cloths in a fun color or pattern. My new vacuum has great cleaning power of course, and it’s also really easy to maneuver and kind of freakishly quiet as well, but I also find myself getting an embarrassing amount of joy out of its shiny navy blue color. And there’s nothing wrong with that! Taking care of your home should be fun! 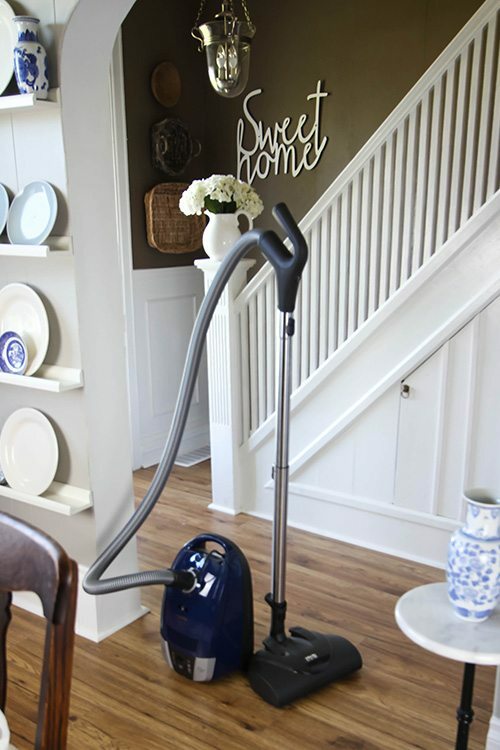 So if a shiny blue vacuum will make dusting more fun for you, then embrace it! Keeping my home smelling its best is also something that’s really important to me so these little vacuum/home scent packets are really fun for me too. You just sprinkle a little bit down on your carpet and vacuum it up. 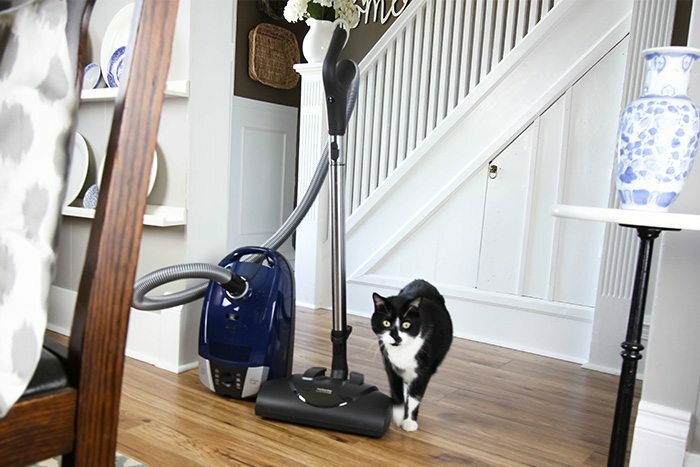 It keeps your vacuum smelling fresh (SO important when you have pets!) and it freshens the air in your home at the same time. That definitely makes the whole dust-fighting process more fun for me! If you’re in the market for a really great new vacuum, I definitely recommend this new C2 Electro+ Plus Canister Vacuum (or one of their other awesome Miele Vacuums) from Vacuum Cleaner Market. 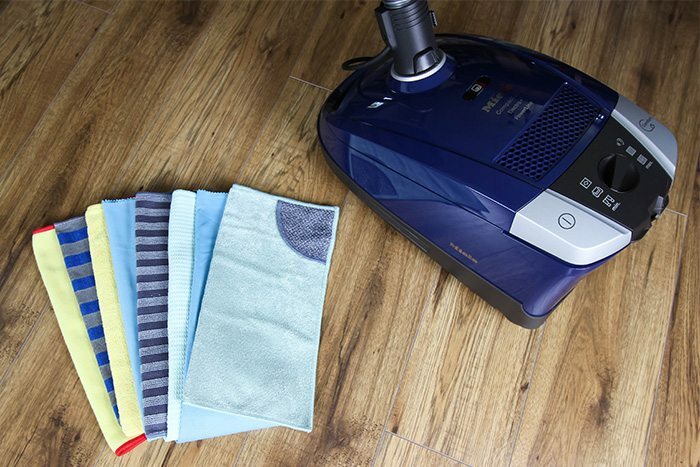 I love that Vacuum Cleaner Market is so super helpful because honestly, sometimes getting started with a new vacuum can be kind of a frustrating experience and the people at Vacuum Cleaner Market are just an email away if you have any questions. 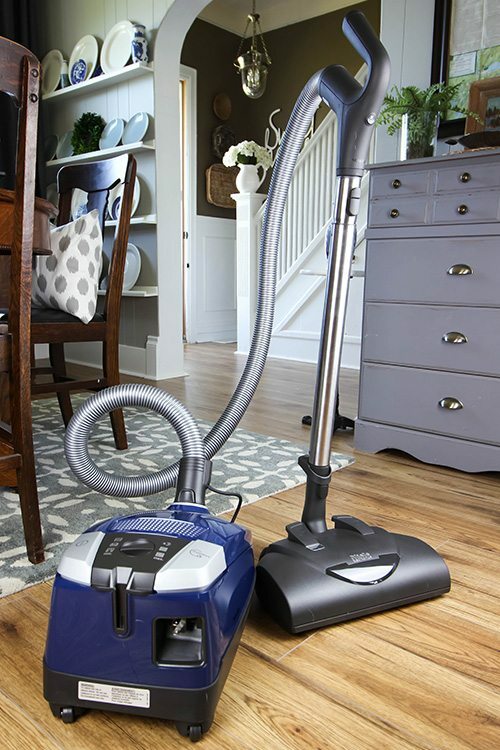 They also take the time to email you a digital user guide with helpful tips, common questions, a how-to video, and links to anything you could ever need for your vacuum right in one little easy-to-skim package. Then, they follow up by email again to see if you have any questions. I love the idea of using the internet to make the whole process more personable rather than less! That’s how it should be! Vacuum Cleaner Market has also provided a couple of really great coupon codes for readers of The Creek Line House to use for shopping there! Use the code CLHVACSCENT to get a free vacuum scent packet with any purchase over $100. Use the code CLHECLOTH to get a free eCloth Home Cleaning Microfiber Set like mine with any purchase over $200! Thanks so much to Vacuum Cleaner Market for sponsoring this post. I was compensated for my time spent putting this post together for you, but all opinions, suggestions, and ideas are 100% my own as always! Do you have a secret weapon in your fight against dust? I’d love to hear about it and test it out! Great tips! Looked at this vacuum cleaner line last time I had to replace my last one. While I like them, they are expensive. Purchased what I could afford at the time and am reasonably happy with it. Hopefully some day I can get one of these, as I have a lot of pets in the house and vacuum daily. Any vacuum used often enough is definitely better than no vacuum at all! 🙂 We own several and I have to say that this is a pretty great one to aspire to though! I definitely know I’m a lucky girl!